CNBC Host: "Even if Bitcoin (BTC) was a bubble last year, I’ve never seen a bubble pop twice." 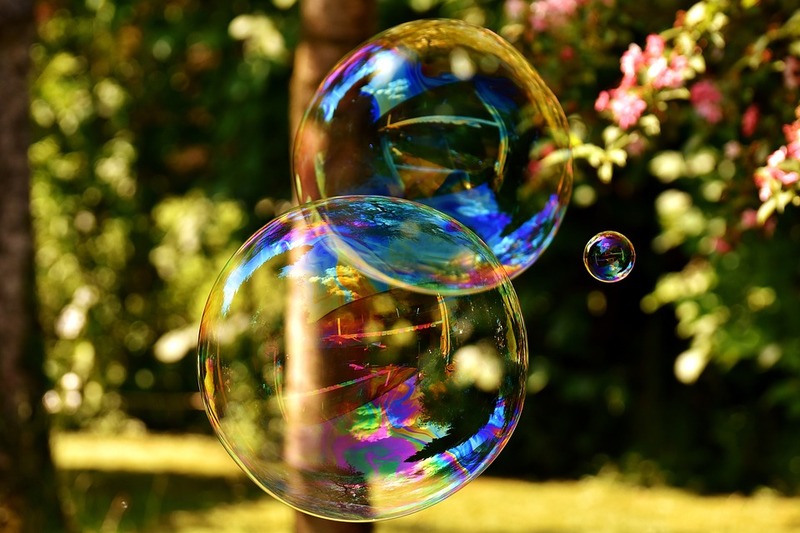 Bitcoin (BTC) has been called a bubble over the past decade, with the recent Bull Run in 2017 giving reasons to some economists to speculate that the cryptocurrency is a bubble and it was about to pop. However, Ran NeuNer, the host of Crypto Trader on CNBC is of the view that even if Bitcoin was a bubble last year, he’s never seen a bubble pop twice. There have been publications by Bloomberg and other media houses last year regarding Bitcoin and the drastic drop in 2018. According to these sensational publications, BTC prices plunging by more than 80 percent after peaking in late 2017 was a clear indication that the world’s most valuable asset is indeed a “Bubble” ready to pop. While claiming that it was a bubble, Bloomberg added that Bitcoin didn’t have the characteristics of previous bubbles. The report stated that the spectacular rise and fall of the cryptocurrency was due to some irrational behavior of new market entrants and poorly informed investors. UBS in its post in 2017 pointed out that BTC has all the hallmarks of a bubble. The bank advised its clients not to invest in the crypto market. The cryptocurrency market expert in his post pointed out that he hasn’t seen a bubble pop twice, and since the Bitcoin had crashed last year, then it would no longer pop again. NeuNer, while responding to a post on CNBC added that he expects that the talks of cryptocurrency collapse should be a thing of the past. But he’s not alone. His sentiment is shared by a cryptocurrency market writer and expert, Joseph Young, who is of the opinion that if NASDAQ was able to double in value following its plunge during the dotcom bubble and the 2008 financial crisis, then Bitcoin has the potential to recover quickly in the medium term. Bitcoin and crypto recorded 80% decline in 2018, worse than the dot com bubble, so they can't survive! According to his analysis, Young added that the BTC price surging past its 200-day moving average for the first time in 16 months is an indication that it Bitcoin could rally in the short-term. Bloomberg’s emerging markets analyst Michael Patterson adds that if the bottom was $3,122, then the cryptocurrency could be en route to a substantial increase in price movement over the coming years. Since breaking past the $5,000 barrier, Bitcoin has been able to retain that price and could be on its way to surge higher over the coming weeks. So far, BTC has recorded a 60 percent increase in price since the start of the year.